Whether you take it to the game, picnic, or campsite, there are plenty of places to store what you need to keep cool in this Coleman® 9-Can Cooler featuring a removable hard liner. 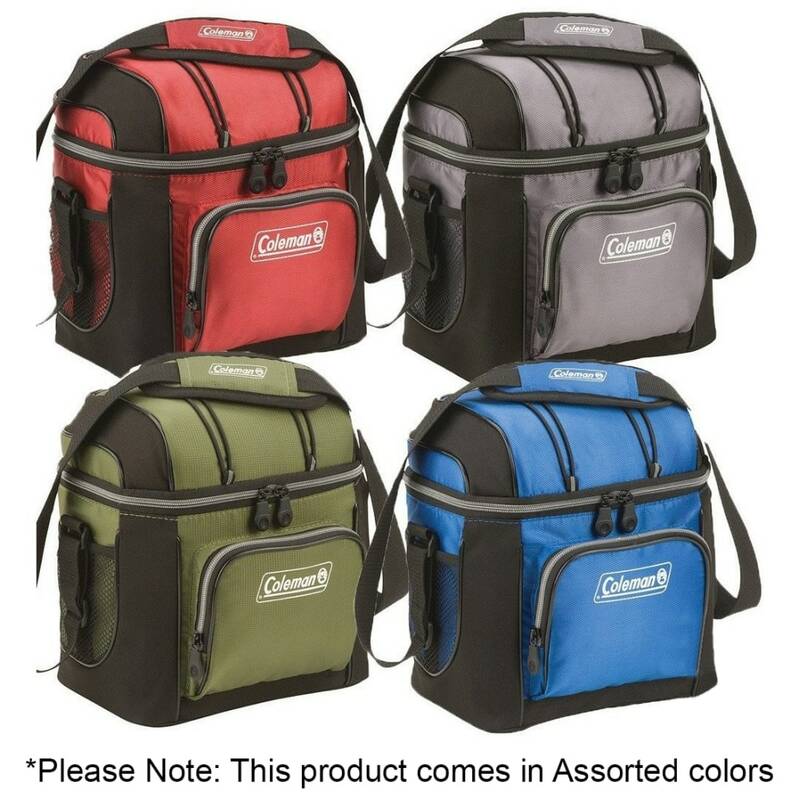 The convenient cooler has four places to store water bottles, extra snacks, and small gear—a zippered pocket in the front, a mesh pocket under the lid, and two mesh pockets on the sides. There's even a bungee cord on top for quick access. Use ice with the hard liner, or ice substitutes without it. The soft liner is made of FDA-approved food contact material that's safe for use with food and drinks. Antimicrobial, product-protecting properties are built into the flexible lining to resist odor, mold, and mildew, making it easy to clean between uses.